If you have kids and teenagers on holiday with you it is always handy to have some tips about what there is to do before you go. So here are a few ideas - this is by no means comprehensive. You may also want to check out the pages on outdoor activities and Theme parks. 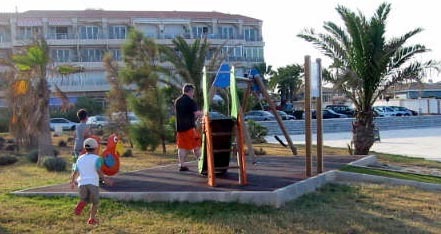 There is another playground at La Zenia and a children's paddling pool too. 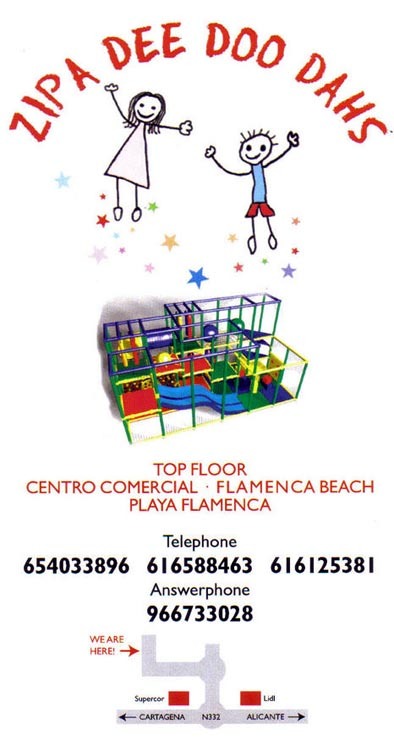 Next there is an indoor children's play area called Zip a Dee Doo Dahs on the top floor of the Flamenca Beach commercial centre. near to the Asturias restaurant. Here is the website for the Go Karts. It is quite noisy - the website and the Go Karting !! and there is an Archery range behind that. There is more information about the things along this part of the N332 here. This is just a small selection of things to do with your children. I am sure I will find out more, as you will when you come here for your best ever holiday in the sun.